Running Digital Campaigns: What’s Changed and What’s Still Working? This is the 10-year-anniversary of Howard Dean’s revolutionary digital campaign. Despite the rise of Facebook, Twitter, and mobile campaigning over the past decade, email remains the primary way that we drive action and raise money online. Hear from veteran experts in the Democratic digital space about what’s working, what’s changed, and what to look for in 2014 and 2016. Lauren Miller served as digital director for Elizabeth Warren’s historic 2012 Senate campaign in Massachusetts, and she continues to manage Senator Warren’s online communications, outreach, and fundraising strategy. From 2013-2014, she was a senior director at Bully Pulpit interactive, the largest digital marketing firm of the Democratic Party. Most notably, Lauren led BPI’s work on Marty Walsh’s underdog mayoral campaign in Boston, serving as the campaign’s digital director for the preliminary and general elections. Prior to joining the Warren campaign, Lauren spent more than six years at Blue State Digital, the technology and consulting firm best known for its work on BarackObama.com. As director of online communications, she built and managed a team of talented writers, social media experts, and content strategists in Washington, New York and London that ran programs for more than 100 political campaigns, advocacy groups, and nonprofit organizations. Chris Bowers is the Senior Campaign Director at Daily Kos, managing the email and activism programs. He has worked full time for independent progressive blogs for over ten years, starting with MyDD in 2004, moving to Open Left in 2007, and Daily Kos in 2010. He has been closely involved in dozens of major progressive campaigns. After long stays in Philadelphia and DC, earlier this year he moved to Rochester, NY, with his wife Natasha Chart and their son, Linus Chart. 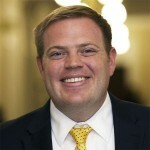 Matt Compton is the Digital Director for the Democratic National Committee. He previously spent two years in the Office of Digital Strategy at the White House where he directed the email program and ran the team responsible for the petitions platform, We the People. Prior to this role, he was the Director of New Media Campaigns for the Democratic National Committee and a senior email campaigner at Organizing for America. Earlier, he worked as the Communications Director for the Democratic Legislative Campaign Committee and as an editor for the Progressive Policy Institute. A native of North Carolina, he’s a graduate of UNC-Chapel Hill. Brandon English is the Digital Director for the Democratic Congressional Campaign Committee (DCCC). During his nine-year tenure at the DCCC, the Digital Program’s fundraising capacity has grown by 1,000%. In the 2014 election cycle, the DCCC’s online grassroots network raised over $70 million to support Democratic candidates. In addition, the DCCC’s digital rapid response efforts have been featured by NBC, ABC, CBS, CNN, the New York Times and Washington Post. Brandon was born and raised in Cleveland Heights, Ohio — and no, he doesn’t want LeBron to come back to Cleveland go Cavs!!!! Melissa Ryan’s work lives at the intersection of politics, media, and technology. For more than a decade she has been a staple in the progressive movement, helping progressives build and grow online communities. Ryan is currently a visiting fellow at Media Matters for America, where she works alongside the researchers and writers studying the intersection of disinformation and technology, sharing her own expertise and identifying opportunities for content that benefits the public. She is the editor of Ctrl Alt-Right Delete, a weekly newsletter in partnership with Hope not hate devoted to understanding how the right operates online, which has more than 14,000 subscribers. As a consultant and digital campaigner Ryan has worked on more than 20 federal, state and local campaigns, leading teams that have built vibrant online communities that have knocked on thousands of doors, made tens of thousands of phone calls and contributed millions of dollars to political candidates. Ryan currently lives in Washington, DC. Follow her on Twitter @MelissaRyan.